In today’s real estate market, there is simply no substitute for a good REALTOR, whether your goal is to buy or sell property, an experienced REALTOR can be the difference between a smooth transaction and an unsuccessful one. As one of the luxury real estate leaders for nearly 80 years, the Coldwell Banker Previews International® program continues to leverage sophisticated real estate marketing tools and international connections that attract the most qualified luxury home buyers to your home. As Previews® Specialists we can show you how our heritage and expertise can make a difference in your next sale or acquisition of a luxury home in Santa Barbara and Montecito and surrounding areas. As dedicated and knowledgeable real estate agents with Coldwell Banker Santa Barbara, we can provide you with the highly specialized information that you will need to make the right decision. It’s the combination of this unique market-knowledge and excellent negotiating skills that enable us to get you the optimal price for any property you plan to sell or buy. As real estate experts in the Montecito and Santa Barbara area, we’ll help you with insights about the area, and show you why Santa Barbara real estate is truly so desirable. With a professional yet friendly approach, we help clients feel comfortable about what can be a stressful decision. Trust is hard to come by in today’s fiercely competitive real estate market. We are here to provide you with the professionalism and integrity needed to ensure that you feel secure in what can be one of the biggest decisions of your life. A fifth-generation Californian born in Carmel, California, Maurie discovered a passion for real estate when she realized she could combine her love of California’s astounding landscape with her studies in geography, architecture, and planning – and make it into a career. Since then, she has amassed a wealth of experience in her more than twenty years as a real estate professional specializing in Santa Barbara, Montecito, and Carpinteria properties. Some of Maurie’s career highlights include boutique neighborhood development projects such as Montecito’s Ennisbrook community and Oak Creek Canyon Ranch, as well as being named one of Coldwell Banker’s Top 100 agents nationwide. 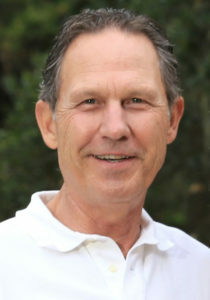 Maurie is active in the community, serving as the Chair of the Statistical Review Committee for the Board of Realtors, and serves on the board of the Land Trust for Santa Barbara County. 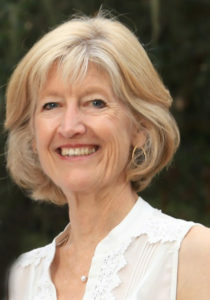 She has also served on the Santa Barbara City Planning Commission, the Partnership Council for the Community Environmental Council, and as an appointed member of the Solid Waste Community Advisory Committee, as well as a being a long-time supporter of many local organizations. She is known for her strong work ethic, down-to-earth honesty, as well as being a good listener who is easily accessible to her clients. Her career covers many successes and achievements, still her greatest happiness comes from helping clients realize their dreams. Whether the client is buying or selling a home, Maurie’s intimate knowledge of the area, trusted counsel, and commitment to making the process as streamlined and low-hassle as possible are invaluable. Maurie has traveled the world and maintains that Santa Barbara is one of the most remarkable places on earth. While small enough to give people a feeling of connection and community, it’s also big enough to afford loads of opportunities. A native Californian, Scott’s story is multifaceted and dynamic, having taken him from his beginnings in real estate, into an international seafood business, to the nonprofit sector, and back into the real estate world. In the early 1970s, Scott’s passion for ranch land got him hired by the developers of Hollister Ranch during the transition of 14,400 acres of coastal cattle land into a community of conserved open spaces with selective home site developments. After that success, Scott spent the next several years living in Mammoth Lakes skiing in the winter and spending summers packing mules into the high Sierra. In 1981 Scott switched gears and was employed by an international seafood company that flew seafood from remote areas of the world and processed local Santa Barbara fish for the California market. This led to an opportunity to start his own seafood company developing and distributing abalone products for the next twenty years until the California fishery was closed in 1997. It was an experience that enabled Scott to make business connections throughout the world as well as hone his negotiating skills. In 1998, Scott founded The First Tee Central Coast (TFTCC) a chapter of The First Tee an initiative developed by the PGA Tour and United State Golf Association. As executive director, he provided area youth an opportunity to develop life-enhancing values such as learning to define and achieve goals, the importance of honesty, integrity, and sportsmanship all through the game of golf. Scott developed a business plan that incorporated existing golf courses and professional staff into on-course time and provide resources for students to learn the Life Skills Curriculum. He was also responsible for TFTCC’s outreach and public relations programs, as well as the development and implementation of long-range strategic fundraising and facility planning. While still active with TFTCC, Scott came full circle and joined Maurie in her thriving real estate business in 2008. Along with Scott’s 30 years of marketing and sales experience, he is a creative negotiator who incorporates an optimistic sense of possibilities. With a keen understanding of the Santa Barbara area and profound love of the Santa Barbara area, Scott is known to go the extra mile to help clients achieve their goals. His passion for real estate comes from the joy his clients experience when they’ve acquired a home to make their memories or concluded a sale for the next chapter of their lives.